The Harris County PCT 5 Constable's Office and HCSO are investigating not one but two drive-by shootings at the same address. According to reports from Constable Ted Heap's Office, at a little after 10 p.m. on January 27, shots were reported from the bayou area behind a residence in the 1900 block of Emerald Green Ct. Several rounds struck the back of the home but nobody inside was injured. No arrests have been made at this point but the investigation is ongoing and still in its early stages. A ladder and aluminum baseball bat were found behind the victim's back fence and may provide a clue as to who shot at the house. Constable Heap today also released video of a drive-by shooting at the same address on Christmas Day. At approximately 7 p.m. that evening, an occupant in the passenger seat of a dark sports car fired several shots at this residence. No one was hurt in this incident either. While the motive for these two shootings is uncertain, investigators are looking into whether these two shootings are related. The victims are Muslim Americans, so Precinct 5 is working together with the Sheriff's Office to determine if the shootings were potentially racially motivated. 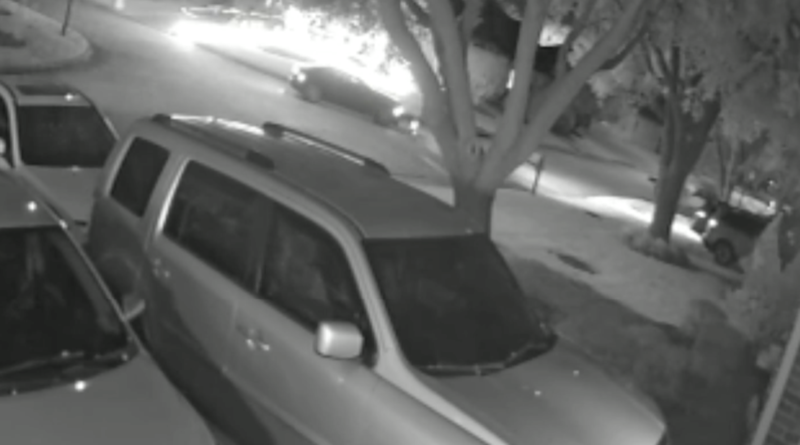 In addition, investigators are looking into whether these attacks are related to a recent theft from the victim's garage and a drive-by shooting at a nearby mosque. At this point, this shooting has not been classified as a hate crime.